Host Matthew Sweet introduces the Eleventh Hour Q&A at the Doctor Who 50th Anniversary celebration. Director Nick Hurran, Steven Moffatt, Jenna Coleman and Matt Smith take questions from the host about the show’s history and The Day of The Doctor. Paul McGann talks about his memories of being the 8th Doctor, wearing a wig, how he wanted to wear a leather coat, what he thinks of the new generation of Doctors, the 50th Anniversary special, why Peter Capaldi will be a great Doctor, appearing on the Doctor Who 50th Anniversary stamp, starring as the Doctor in audio plays, and the Ministry of Chance audio plays and feature film with Sylvester McCoy. Karen Gillan says she is a lot like her character in her new film Not Another Happy Ending. The 25-year-old actress and former model admitted to being neurotic, emotional and a bit clumsy, just like Jane Lockhart, the part she plays in the rom-com. Karen said that she missed being Doctor’s Who sidekick Amy Pond, but still kept in touch with soon-to-be ex-Timelord Matt Smith. She was sporting a shaved head, part of the requirements for playing the part of Nebula in the upcoming Marvel Comics superhero movie, Guardians of the Galaxy. Karen Gillan will not be in the Doctor Who 50th Anniversary special, she will just watch it. The 50th anniversary will unite Matt Smith and Jenna Colman with former Doctor and companion David Tennant and Billie Piper. Also, the former Doctor Who companion announced she is drafting a script to her very own movie… after playing a novelist in Not Another Happy Ending. She also admits the profession is close to her heart. Doctors number 6, 7 and 8 appeared on the morning chat show Mornings on Channel 9 Australia on April 9. They were here for a Doctor Who convention: Lords of time. FormerÂ Doctor WhoÂ starsÂ Colin Baker,Â Sylvester McCoyÂ andÂ Paul McGannÂ have revealed that they definitely wonâ€™t be appearing in the BBCÂ sci-fiÂ dramaâ€™s upcoming Doctor Who 50thÂ anniversary episode, largely because they’re in… the wrong hemisphere. `The roots of evil` by Philip Reeve is the fourth book in the series of stories celebrating the Doctor Who 50th anniversary. It feature the Fourth Doctor and Leela, they are visiting an immense tree space station known as Heligan Structure… something asleep for centuries, dreaming of vengeance against a mad man with a blue box. It’s obvious that the Time Lord and Leela are unwelcome guests, at least when the tree awakes. It’s official:Â David Tennant, Billie Piper and John Hurt will appear in the Doctor Who 50th anniversary episode. We all known the Tenth Doctor and Rose Tyler, his companion, they last appeared in the showÂ or January 2010 finale The End of Time, which saw the Time Lord begin his regeneration into Matt Smith’s eleventh incarnation. The acclaimed actorÂ John HurtÂ will take on an as-yet-unnamed role in the celebratory episode, which is set to screen later this year. This is a question Iâ€™ve never had a chance to ask anybody before: whatâ€™s it like being on a stamp? Itâ€™s a great privilege that the nation will be licking the backs of our heads. Itâ€™s an amazing thing â€“ Iâ€™m really proud to be part of it. Itâ€™s cool. itâ€™s something that I can show my grandkids. Would you feel a bit self-conscious, sticking it on a gas bill? No, absolutely not. Take that, gas man! And give me some money off! So the new series â€“ weâ€™ve seen the promo poster of you riding that great big bike. Are you good with bikes or was it a world of terror for you? The rest of the interview isÂ here… Enjoy reading it. Meantime, or something like that,Â Matt Smith has also talked to the people at Radio Times and, accordingly to the interview posted today, he has once again increased the hype ahead of the 50th anniversary episode of Doctor Who, calling it the biggest event in the history of the show.Â He also described Steven Moffat as one of the greatest science fiction writers around. 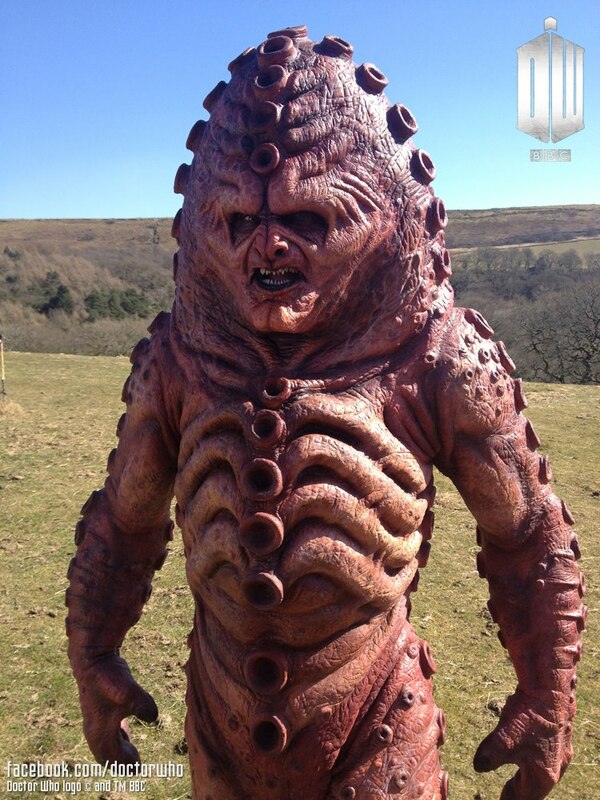 Shooting on the episode was originally slated to begin on Monday 18 March but has now been pushed back until April. Smith says he’s looking forward to filming a host of suprises and bigÂ Doctor WhoÂ moments scripted by showrunner Moffat. Radio Times says that the actorÂ John BarrowmanÂ has revealed that he is in discussion to take part inÂ Doctor Whoâ€™s 50thÂ anniversary. I haven’t had any information up until just about right now – and all I can say to you is that we’re discussing things… that’s a total exclusive! You guys are the first to ever hear it. Even yesterday I was giving interviews and I was saying I have heard nothing, and now I can give you a little bit of an exclusive. I’ve heard something! Steven Moffat talks about Ice Warriors, Doctor Who 50th anniversary and plenty more in this interview piece filmed for this year’s Gallifrey One convention in Los Angeles where it was screened on Sunday 17 February. 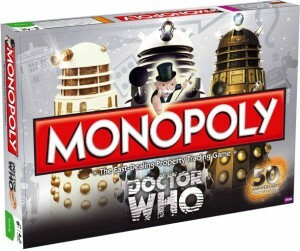 Of course, it’s all about Doctor Who 50th anniversary. BBC head of dramaÂ Ben StephensonÂ has some words aboutÂ theÂ half-centuryÂ celebrations, even if the details were not revealed.Â Speaking at a BBC drama launch, Stephenson also revealed plans to broadcast theÂ 50th anniversary special in 3D, on both TV and in cinemas. “It’sÂ very exciting and feels very innovative,” he said. 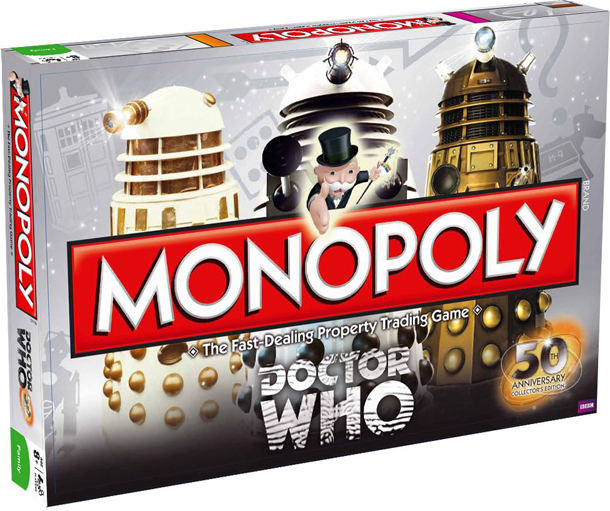 â€œCelebrate 50 years of the worldâ€™s favourite Time Lord with this very special edition of Monopoly!,â€ says the press release. 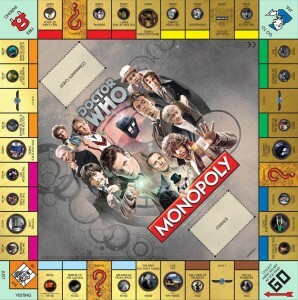 â€œFeaturing all eleven doctors, the best-loved companions and of course, the monsters and baddies from across space and time, from the Brigadier and Captain Jack to Jo, Susan and Ace. 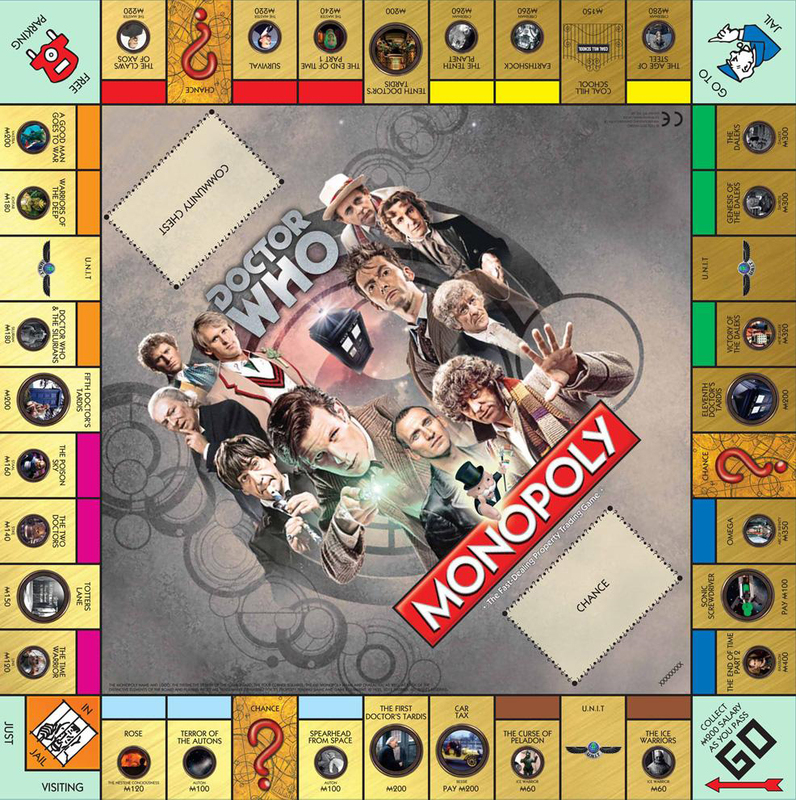 Play with extra specialÂ Doctor WhoÂ tokens, including the Doctorâ€™s scarf, designed just for this edition! Itâ€™s an adventure like no other as you revisit 50 years of this amazing show! Itâ€™s available to buy from 28 August, but you canÂ pre-order now. I am not a big fan of Torchwood, but I watched it with pleasure. I am curious and I wanted to know what the show has to offer: it is good, but not close to Doctor Who (from my point of view). The next video is the perspective of John Barrowman about the Doctor Who 50th anniversary and Torchwood 5th season. I did not now about the new Torchwood series, but it looks interesting enough to watch it (if and when it’s going to be released).